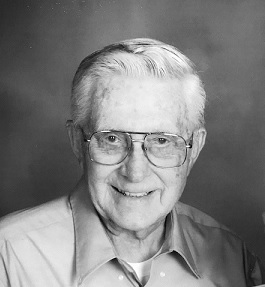 Charles “Chuck” Edwin Krueger passed away peacefully on February 11, 2019. Chuck was born to Edwin and Clara (Jacobi) Krueger on April 30, 1931 in Milwaukee, Wisconsin. During his youth, his family owned and ran Krueger’s Bakery. They were members of Sherman Park Lutheran Church. As a youth, Chuck attended both Concordia and Wauwatosa High Schools. He loved playing on the football and basketball teams. In 1949 he graduated from Wauwatosa High School. During the Korean Conflict, Chuck served in the US Army as a company clerk, and he trained medics in Blackstone, VA. In 1953, Chuck married his sweetheart, Juel (Wessely), and they enjoyed 65 years together. He found great joy in his family and was proud of each of his six children; Lynne, Karen, Daniel, Steven, Jennifer and Jonathan. Chuck and Juel had much fun with their family outdoors. They built a log cabin at Kelly Lake near Mountain, WI. The family spent time together camping, fishing, and telling stories around the campfire in National Forest campgrounds. Chuck also enjoyed traveling with his family. He visited most of the U.S. states, the Bahamas, Puerto Rico, New Zealand, and Norway. Chuck enjoyed a long career as a salesman. He began as a manager of Badger Paint and Hardware stores in Milwaukee, Madison, and Neenah. In Clintonville Chuck owned and managed an Our Own Hardware Store. Then, beginning in 1974, he worked for 20 years as an insurance salesman in the Waupaca area with Aid Association for Lutherans. In Chuck’s retirement he was actively involved in the Chain of Lakes Conservation Club, the Waupaca Lions, and Emmaus dart ball team. Chuck was a bow hunter, fisherman, and a woodworker. Aside from building furniture for his home and his children’s homes, he built altar furniture, the communion rail, bookcases, and office furniture at Calvary Lutheran Church near King, WI. In recent years, Chuck and Juel joined the congregation at Emmaus Lutheran Church in Lind Center. Chuck was courageous in his battle with prostate cancer and received wonderful care through Heartland Hospice and at the Wisconsin Veteran’s Home at King. Chuck is survived by his wife, Juel; children, Lynne Krueger (Dennis Weibel), Karen (Bob) Strain, Daniel (Reneé Backus) Krueger, Steven (Lisa) Krueger, Jennifer Hobson (Robert Hoewisch, fiancé), and Jonathan (Analeese) Krueger; his grandchildren, Noah (Amanda) Weibel, Jordan Weibel (Ellen Hildebrand), Laura (Nolan) Hoistad, Jessica Korb, Emily (Eric) Sakowski, Jaden Strain, Jarah Strain, Robert Jr. (Cosmina) Strain, Nikki (Keenan Christopher) Strain, Joshua (Lana) Krueger, Aaron Krueger, Zach Backus, Kyle Krueger, Dylan Krueger, Andrew Porrey, Aaron (Brenda) Porrey, Adam (Cassie) Porrey, Jacob Hobson, Caleb Hobson; and his many great-grandchildren. A memorial service will be held Saturday, February 16, 2019 at Emmaus Lutheran Church, N180 Cty Rd A, Waupaca, WI 54981 at 10:30 a.m. The visitation will be held from 9:30-10:30 a.m., prior to the memorial service. Military honors and a lunch will follow at the church. In lieu of flowers, memorials may be given in Chuck’s name to Emmaus Lutheran Church.